Laura Donahue Halloran has a passion for helping people and animals alike. She currently serves as the Executive Director of the Texas Humane Legislation Network (THLN), a 501c4 non-profit that lobbies for stronger animal protection laws in Texas. Prior to joining THLN, Laura was a lobbyist and policy consultant for the Pew Charitable Trusts. She has also previously served with the Humane Society of the United States and founded the political action committee, Humane Dominion, both animal advocacy organizations in the Washington D.C. area. Before entering political advocacy she worked in supportive housing services and substance abuse prevention. Laura has her Master of Social Work with a specialization in Social Action and Community Development from the University of Maryland, Baltimore, and a BA in Psychology from the University of Delaware. Laura lives in Dallas, Texas with her gregarious pit bull rescue, Demi, her horse Bow, and her fiancee, Daniel. She is reveling in owning her very first horse and learning Parelli Natural Horsemanship. She is grateful to her trainer, Debbie Adcock, for helping her realize a life-long dream, and hopes she can help the Foundation help many others experience their dream of natural horsemanship too. Laura is currently serving as board president. Kris is an experienced Parelli horseman, riding directly with Pat Parelli and Linda Parelli since 1994. She is a Parelli Professional 2* instructor who has achieved her Level 4 qualifications. 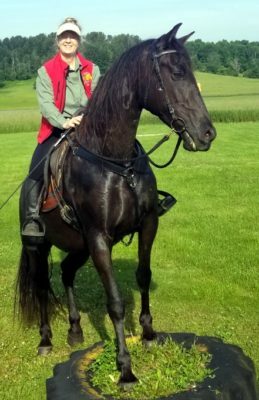 Kris has been breeding top Friesian horses for over 15 years, and is a retired international judge of the Royal Friesian Horse (KFPS), being known around the country and overseas. She also serves on the board of The Friends of the Ahnapee State Trail in Wisconsin, another 501c3 organization. Her husband recently retired from running the largest label company in North America (and the second largest in the world! ), is on the board of the Green Bay Packers, and is happy to consult with us. Carlos is a businessman from Wisconsin, originally from Venezuela. He runs a live-in language school for foreign students, which has many similar elements to running our natural horsemanship campus (just without the horses!) He is a successful businessman with restaurants, real estate, and the language school. Carlos rides often with Pat Parelli, and is a reining competitor with his horses around the country. Dr. Bowman is the founder/owner of Bowman Second Chance Thoroughbred Adoption Center in Rhame, North Dakota. The Center gives retired race horses another opportunity at life. He is also the regulatory veterinarian for Canterbury Park, a horse-racing track, in Minnesota. When horses from the track are unable to race, he brings them to his ranch and works with them until they are adopted into a forever home. Prior to founding Bowman Second Chance Thoroughbred Adoption, Dr. Bowman was one of the first veterinarians in the U.S. to build a mobile equine dentistry center; spending seventeen years traveling parts of the Midwest providing equine dentistry services .He sold his dental practice and formed North Wind Equine LLC, which practices in North Dakota, Minnesota and Wisconsin Dr. Bowman is a graduate of Kansas State University’s College of Veterinary Medicine. Robin Payne-Ryan is an International airline pilot for United Airlines, presently on leave. She is also a New Thought minister and NLP Practitioner and Coach. She is the associate minister at her church and also President of the board of directors. She and her husband own and run a small horse boarding stable near Sisters, Oregon. She has practiced natural horsemanship since 1998, when she attended a performance where Pat and Linda Parelli teamed up with David and Karen O’Connor. She has been “hooked” ever since. Robin is passionate about being an eternal student of human nature, and of course, horse nature. She resonates with the natural aspects of life, such as practical spirituality without dogma, natural horsemanship. and being authentic while inviting all in her presence to do the same. Carol White is always looking for ways to promote the amazing benefits of Parelli Natural Horsemanship and was recently appointed as one of the first Official Ambassadors for PNH! With a 36-year career in state and local government finance, Carol brings tremendous experience to her new role as Treasurer of the Parelli Foundation board. Carol holds a Masters Degree in Public Administration (MPA) from Virginia Commonwealth University and a Bachelor of Business Administration (BBA) from the College of William and Mary. Carol has been studying PNH since May 2008 and recently earned her Level 4 Black String. In 2015 she purchased Road to the Summit horse “Buzz” and says they are having the time of their life together! She looks forward to working with the foundation to spread the benefits of PNH to a wider audience and appreciates the opportunity to be in service. Kathy Guida joined Northern Trust in December 2006 and is responsible for the administration of client relationships with individuals, families, trustees, foundations and their advisors. She is based in Fort Lauderdale and has held various positions over the past 30 years at NationsBank (now US Trust Bank of America), SunTrust Bank, Merrill Lynch Trust Company and Morgan Stanley Trust. Kathy is a lifelong resident of South Florida. She attended Broward College, Florida Atlantic University and is a graduate of the Florida Trust School and the National Graduate Trust School. 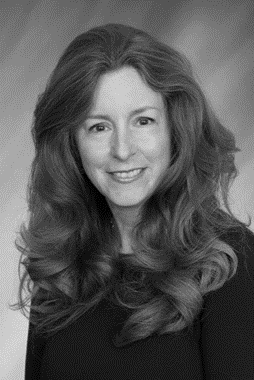 Kathy passed the CFP exam in March, 2012 and previously received the Certified Trust and Financial Advisor (CTFA) and Certified Financial Services Counselor (CSFC) designations in 1991 and held Series 65 and 7 licenses which are presently inactive. As an active member of the professional and volunteer community, she is a member of the Estate Planning Council of Broward County (Past President), the Corporate Fiduciaries Association (Past President), and was a past director of the Planned Giving Council of Broward County. In addition, Kathy serves on the Community Foundation of Broward County’s Professional Advisory Council, and the Joe DiMaggio Children’s Hospital Foundation Planned Giving Committee. She is also a member of the Friends of Jack & Jill Children’s Center, the 100+ Women Who Care, the Junior League of Greater Fort Lauderdale (Past President), and was the former Treasurer of the Bonnet House Museum and Gardens. 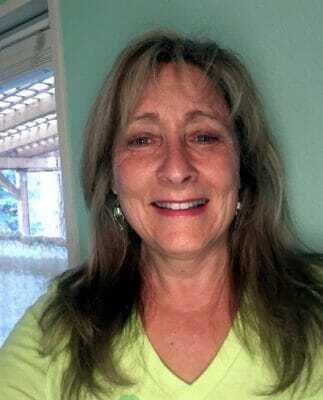 Kathy supports Coastal Poodle Rescue and various organizations providing rescue and care of abused and neglected horses and the rehabilitation and adoption of off-track thoroughbreds. “Dr. Kerul Kassel is an educator, leadership coach, author, and community activist. She is a faculty member in Fielding Graduate University’s Organizational Development and Leadership Masters Program, and conducts research on triple-bottom-line (people/planet/prosperity) business practices. She works with organizations and the individuals in them to successfully embed those practices into their firm’s business model. As a self-leadership coach with a focus on purpose, productivity, and procrastination, Kerul has worked with executives, professionals, and business owners to improve their results and address the important actions and decisions to embody their potential. She’s certified through the International Coach Federation, the International Association of Coaches (on whose Board of Governors she has served) and other coaching organizations. Her expertise has been utilized and mentioned in many periodicals, and she has been quoted in TIME magazine, Real Simple, The Chicago Tribune, and elsewhere. Kerul is also a publicly elected official, serving on the Harmony (Florida) Community Development District Board of Supervisors, and several other community organizations. She has served on a number of local, national, and international non-profit boards over the past several decades. Art comes to the Parelli Foundation eager to bring his creative expertise to help develop world-wide recognition of the importance of the work being done here. His considerable experience includes business ownership, management and board service spanning more than 50 years. He has run major network television stations, chaired the United Way Campaign and Economic Development Council of Denver, CO Chamber of Commerce while serving on boards including United Bank, St. Joseph Hospital Regional, Boy Scouts of America, National Television Bureau of Advertising and more and currently Mesa Verde National Park Foundation. In business partnership with wife, Letitia since 1977, the Glenns have piloted Gold C Enterprises (taken public with partners in 1982), met Linda and Pat Parelli in Germany in 1993 and ultimately established the Parelli Collection to develop Parelli brand awareness via production and sales of popular apparel and accessories. They began research with the Parellis of saddle impact on horses in 2001, which has ultimately led to the development and production of revolutionary saddle tools that fit the horse and rider in motion and foster happier, healthier horse/human partnerships via their company, Natural Horseman Saddles, Inc., proud to be the exclusive provider of Parelli Saddles. 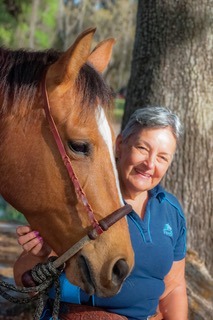 Lori Northrup is passionate about how the Parelli teachings and philosophy can make the lives of horses, and the humans around them, so much better. She is proud to have started the Parelli Foundation in 2012, with the incredible support of Pat and Linda Parelli, board members, key volunteers and amazing donors. 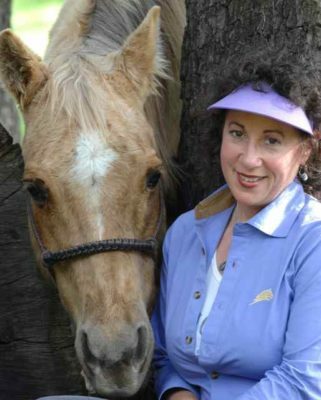 She served as President of the Parelli Foundation Board from 2012 – 2016 and is proud to be a 3-Star Parelli Instructor. She also served for 10 years as President and Board member of Friends of Sound Horses (FOSH), working to encourage positive, humane education for gaited horses, and the effort to end the soring abuses practiced on Tennessee Walking Horses for the show world. Her leadership including growing the organization through raising significant donations, organizing annual Sound Horse Conferences, working with pro-bono law firms (including the 5th largest law firm in USA, and firm winning 2008 Pro Bono Firm of the Year in Washington DC), and regularly meeting and communicating with Senators, Congressmen, reporters, and government enforcement. She led an all-volunteer board of 20 from USA & Canada. Lori and her husband Bill run a high-tech manufacturing business in western New York where they live in western New York with a herd of (12) horses, miniature donkeys and z-donks. Jean Wyer Jean was born and raised in Kentucky so horses are in her blood. Parelli’s commitment to never ending self improvement matches well with her life-long passion for learning. Jean’s LBI Paint Gelding, Inky, does everything from cows to dressage. They are about to submit L2 audition and are playing at L3. In 2010 she retired after 22 years with PricewaterhouseCoopers where she was a partner and the leader of their recruitment and educational initiatives. In these positions, she developed her skills in organizing things, applying financial wisdom and knowing the good from the bad and the ugly. Jean is in charge of Major and Legacy Gifts and Special Projects for the Fund-Raising Team. Jean’s mom is still alive at 91 and still learning and sharing her wisdom with others; so we can look forward to Jean’s help for a long time. Besides horses, Jean has eclectic interests: she reads everything she can get her hands on, works out and does needlepoint.